“Where are the women?” became his mission. 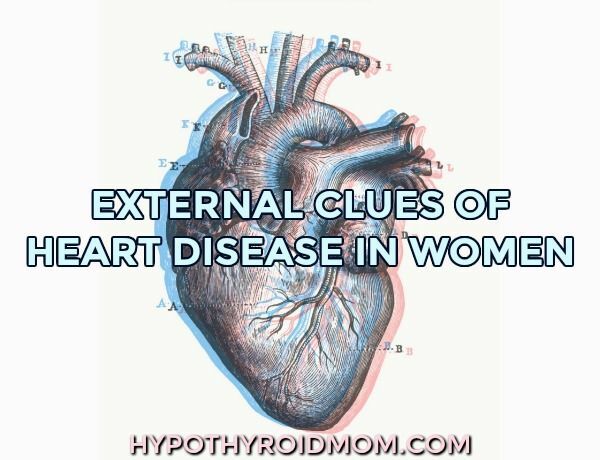 Heart disease remains the number one killer of women, outpacing breast cancer, diabetes, and stroke, with one in four women receiving a diagnosis in her lifetime. Enlarged pupils in a brightly lit room suggest an overactive or imbalanced nervous system and confused adrenal glands. If after shining a bright light into your eyes, your pupils first reduce in size and expand again slightly, it may be an indication of adrenal dysregulation and cortisol abnormalities. The arcus senilis is a small blue circle surrounding the colored part of the center of the eye and is a well-proven indicator of heart health. This blue circle can be an indicator of abnormal cholesterol processing and overall elevated cholesterol levels. Ruddiness in the cheeks can indicate internal inflammation and is common among people with diabetes, which increases the risk of being admitted to the hospital for severe heart problems. Darkness under the eyes and on the back of the neck suggest blood sugar abnormalities, including diabetes and insulin resistance. Dark areas under the armpits may also be signs of blood sugar imbalance. Fingernails give us clues to your body’s nutrient absorption and digestive function. White spots on the nails may indicate zinc deficiency or diabetes. Pitting of the nails is usually a sign of overall nutrient deficiency or psoriasis. Flat thumbnails with “feathered” appearing ridges are an indication that you are probably not optimally utilizing nutrition because of either poor intake or gut dysfunction. The nails are so sensitive to nutrition that if you are hospitalized for a major illness, such as a heart attack, a white horizontal line on your fingernails and thumbnails will develop as a large ridge that marks that event, reflecting how poorly your body was functioning (called Beau’s lines). As you recover, your nails stop forming the white lines as they grow out. Dr. Mark Menolascino is the medical director of the Meno Clinic Center for Functional Medicine, located in Wyoming, and author of the new book Heart Solution for Women: A Proven Program to Prevent and Reverse Heart Disease . He is an MD with board certifications in Internal Medicine, Holistic Medicine, Hormone Management, and Anti-Aging Medicine. He also has master’s degrees in pharmacology and immunology. 1.Yancy, C.W., et al. 2013 ACCF/AHA Guideline for the Management of Heart Failure: A Report of the American College of Cardiology Foundation/American Heart Association Task Force on Practice Guidelines. 2013 Oct 15;62(16):e147-e239. 2. Shmilovich. H., et al. Relation of Diagonal Ear Lobe Crease to the Presence, Extent, and Severity of Coronary Artery Disease Determined by Coronary Computed Tomography Angiography. 2012 May 1;109(9):1283-1287. 3. Christoffersen, M., et al. Visible Age-Related Signs and Risk of Ischemic Heart Disease in the General Population. Circulation. 2014;129:990-998. 4. Ang, M., et al. Corneal Arcus is a Sign of Cardiovascular Disease, Even in Low-Risk Persons. American Journal of Ophthalmology. 2011 Jul;152(5):864-71.e1. 5. Guevara-Gutiérrez, E., et al. A study of the association of acanthosis nigricans with subclinical atherosclerosis. Indian J Dermatol Venereol Leprol. 2017;83:190-4. 6. Swivedi, S., Jhamb, R. Cutaneous markers of coronary artery disease. World J Cardiol. 2010 Sep 26;2(9):262-269. 7. Nair, P.A., et al. Xanthelasma Palpebrarum with Arcus Cornea: A Clinical and Biochemical Study. Indian J Dermatol. 2016 May-Jun;61(3):295-300. 8. Fawcett, R.S., et al. Nail Abnormalities: Clues to Systemic Disease. American Family Physician. 2004 Mar 15;69(6):1417-1424.